STI Staccato P 9mm Ships Free! 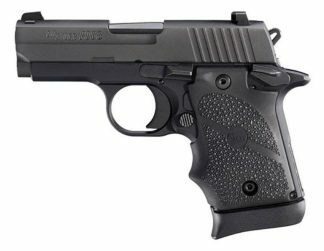 The all new STI Staccato P 9mm (Professional) pistol is a variation of Their legendary 2011 which evolves Browning’s classic 1911 design by combining a modular metal frame with a polymer grip to absorb and disperse recoil as well as reduce weight. STI has taken the technology that has won thousands of World, National, Regional and state competitions in the hands of the BEST shooters in the World and put that into a concealed carry sized platform giving you competition performance in a carry configuration. The slim profile of STI’s Staccato P incorporates FlaTec™, Their shooting technology which combines proprietary design and craftsmanship, superior materials, and our recoil absorbing grip and 2011® frame. The result is less recoil transferred to the shooter leading to faster and more accurate shooting. STI’s Staccato P 9mm pistol is a upgraded version of the STI Stacatto C, Upgrades include black DLC finish, longer barrel and different style of serrations. 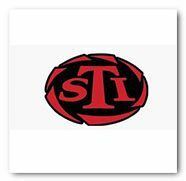 The P in this latest variant from STI that stands for Professional. Considered a 2011 Pistol the Staccato P also uses a double stack magazine, which is a upgrade over the staccato c.
STI Staccato P 9mm 2011 Pistols and Handguns On Sale and in stock at the best price Online at Xtreme Guns and Ammo in Richmond Texas. Feel Free to call Xtreme guns and Ammo in Richmond Texas for all your STI Gun needs and questions at 832-363-3783, or chat with us online during regular chat hours. 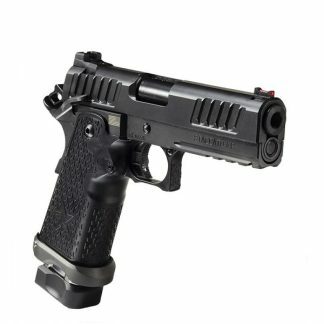 Cant find what your looking for, Shop More STI Guns Online.